I have an idea for a series of posts along the lines of the series I wrote last summer about ten objects that can be found in my apartment. It’s about the important books in my life, which is something I’m sure I have in common with anyone who bothers to read my blog. 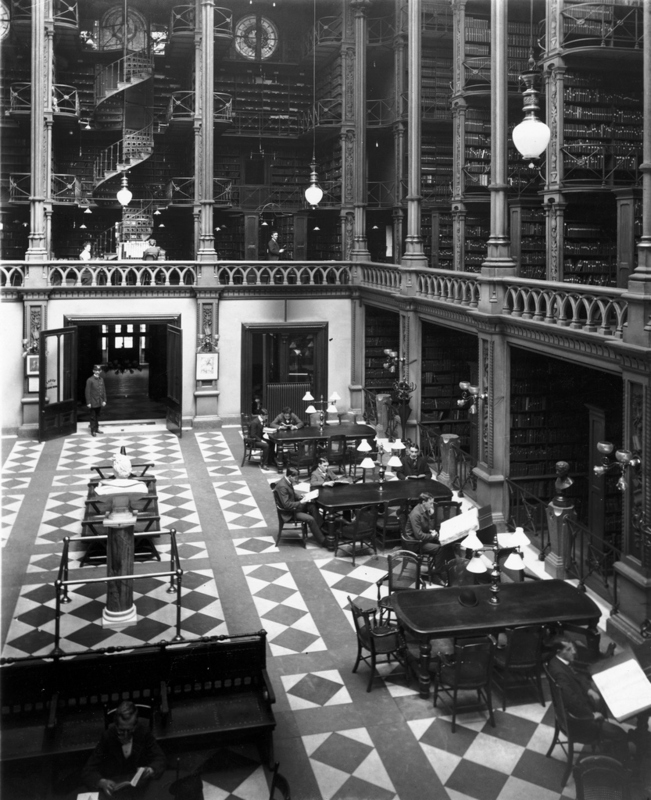 The old Cincinnati Public Library. What a crime they tore it down . . . I asked myself a few questions that I thought I should try to answer, which got me thinking about the way that books can influence an entire culture. Then I thought it would be interesting to put those questions out there and get your response and in this manner conduct an informal survey. I would appreciate your response, and assume it would be interesting for you to take a bit of time to consider these questions. You can reply either by writing a comment directly on my blog, then it would be there for the world to see, or if that’s too much bother you can do it on Facebook. So without further ado, here is my survey. Thanks for taking the time to take part in it. I’ll share the results and begin my series when I feel I’ve had a significant response to the survey probably in a week or so. So, here we go . . .
1. Which 5 books do you believe have changed the course of history, or at least the way that we perceive the world? Some of these will be so self-evident that no explanation will be necessary, but feel free to comment on your choices if you like. Briefly, briefly. 2. Be brutally honest: how many of these have you actually read? 3. How many of these books do you personally believe? Or believe in? 4. Irrespective of the books you listed, what is the one book that you have read that has influenced you personally the most? 5. Do you believe that a book could still be written, whatever its mode of dissemination, that could wield as much influence as any of the books on your list? If not, why not? That’s it, that’s all. Enter once, enter often. I’ll get back to you with the results and then I will begin a series of posts about the influential books in my life. Here’s something that has absolutely nothing to do with anything but maybe it will get your feet moving which is never a bad thing!